When you think about Virtual Reality games, most games that come to mind are shooters (or variations on a shooter). Racing games are also very popular with VR, but a ton of other genres are left in the dark. One of these genres is real time strategy, which is very unfortunate because it might actually be the best possible genre for the current technology of VR. 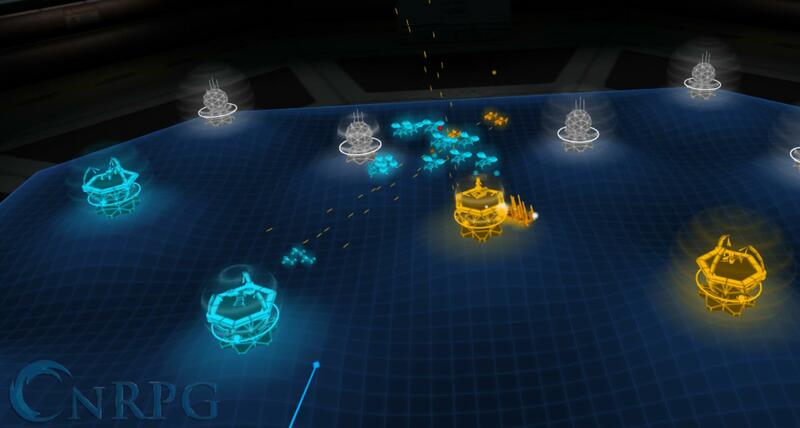 Tactera is a VR real time strategy game where you will look down on a virtual tabletop where you will lead and watch your units succeed on the battlefield. Virtual Reality has been a ground breaking piece of technology that has changed the gaming industry, hopefully for the better. Ever since VR took off, we have seen a lot of games spicing things up and showing an alternative look at how fun a specific game can be when played physically. Shooters and racing games both come to mind, and instead of just slowly wasting away our life in a chair, we are now physically moving in the world. We’re close to doing an actual workout. But despite VR currently still being a bit of a gimmick, we have seen a lot of interesting games having their go at making a successful VR game. While a virtual chat box with anime characters is probably still the most active and popular VR game, there are a ton of others by independent developers left in the dark, hoping to see a spark of life from this small group of gamers. Tactera does well at implementing Real Time Strategy mechanics into VR, yet keeping it simple so everyone can enjoy this super fun genre. Imagine standing over these old Roman war boards that generals used to have in their tents so they could strategically think of the best possible way to advance into a battle. Instead of playing with plastic soldiers, Tactera takes the science fiction route with helicopters, planes, tanks, and buggies. While the game has a simplistic form so everyone gets the basics right away, in practice Tactera proves to be very difficult but enjoyable. Since the game is still very new, and the RTS genre itself is never super popular, the chances of actually playing against someone online is very slim. Because of this I mainly had my go with the Campaign and Skirmish modes, but the game is pretty straight forward no matter what game mode you pick. The Campaign is a fun yet simple game mode that could keep you playing for hours. 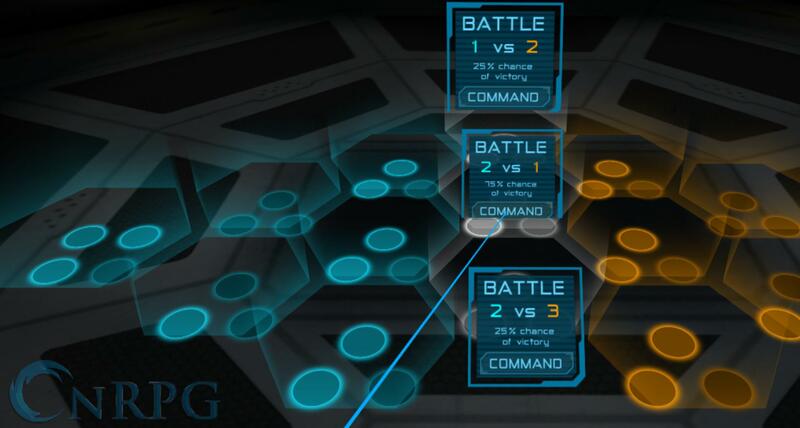 The game is divided in a number of grids, split between you and the AI controlled player. On each grid you can have a number of units present, and each round you will have to move forward one grid slot to slowly advance forward with your new units. To attack a grid, you will have to move over units from the grid slots next to it, and through this you can slowly advance forward into your enemy’s territory. Since your opponent is doing the exact same, the board isn’t simply just cleared in a few turns. It is a constant cat and mouse game trying to slowly advance forward and out-think your opponent. While this is a very fun and straight forward campaign, it doesn’t have a whole lot of depth. 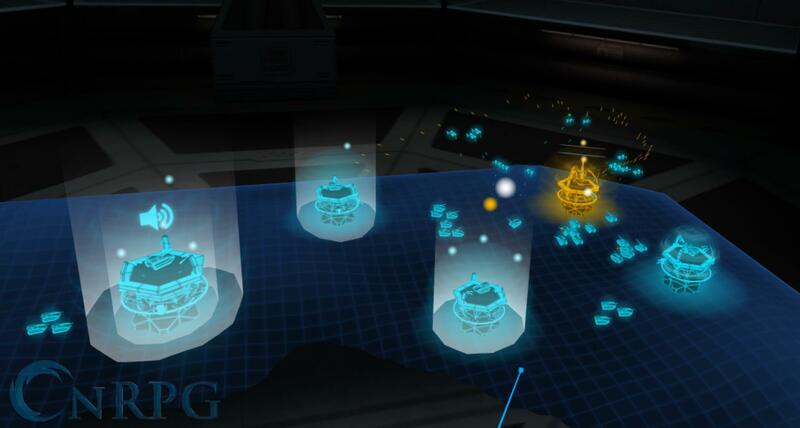 When you attack an enemy grid and decide to actually lead the battle, the amount of units moved over to the grid determines the amount of bases available at the start of the game. You can select up to three specific units to take into battle with you, each unit with its own specialty in ground or air attacks, so you will really have to play around with the options you have. And when using an unit in battle, it will also lock this unit in for a few rounds, and cannot be used in other fights for the duration of it. The game starts with multiple bases on the tabletop, ranging from just a handful of bases to up to about ten. 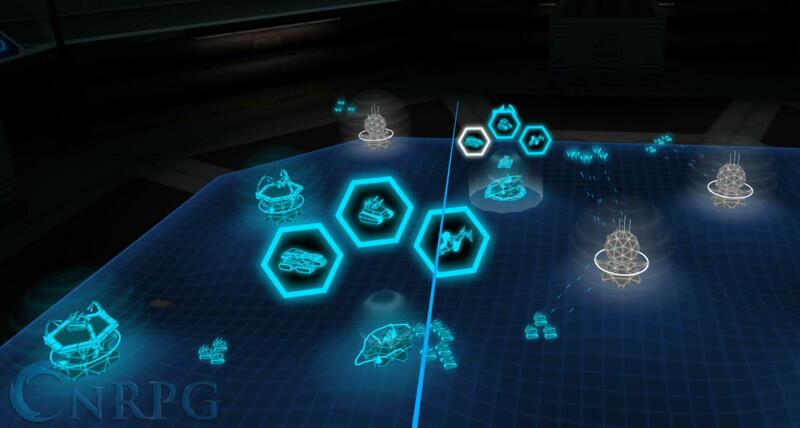 Depending on the units moved into the grid, you will get a base per unit send into battle, and depending on the actual units you also take into battle, you will get bases for these to slowly advance forward. Since you can also take turrets with you into battle, these bases can also be just cannons shooting from afar, or providing you air support. 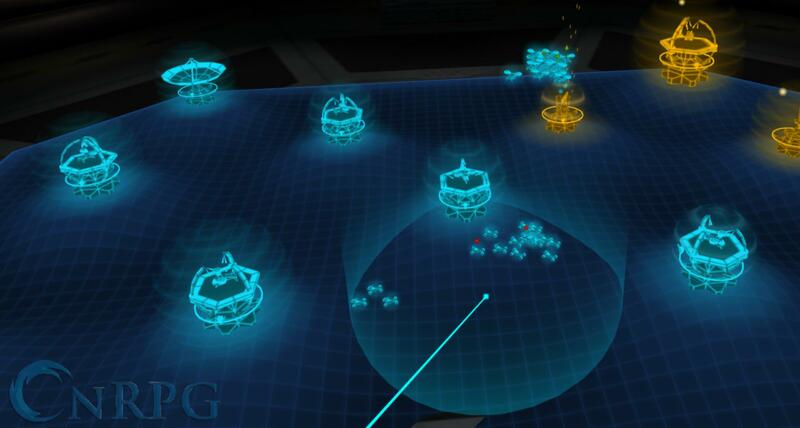 The goal is simply to defeat the enemy’s bases and you’ll win the fight over the grid slot. Each base has a set amount of health, and a cool down timer that goes active every time the building is used. Be it either for spawning in new units, or firing air support somewhere on the map, the building will be put on cool down and cannot be used again until its over. Once the game gets going you will simply start with a small wave of units, and depending on the type of units you are sending you also have to think about your approach. Since it first starts as a race to get as many ‘neutral’ bases won over to your side, you also have to keep in mind what the enemy is doing and how the fights give you an advantage. When the game picks up in pace, the fights will become bigger, and depending on the number of units it usually is decided in one final battle.The game will quickly snowball into the favor of the one who won the bigger fight, making this a very strong and viable tactic on a smaller board when you start out with more units than your opponent. 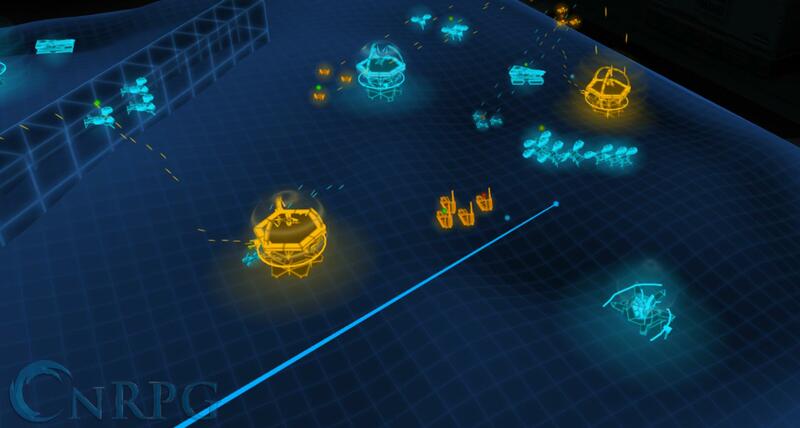 Tactera is a very simple game which is a lot of fun but makes you lust for more. 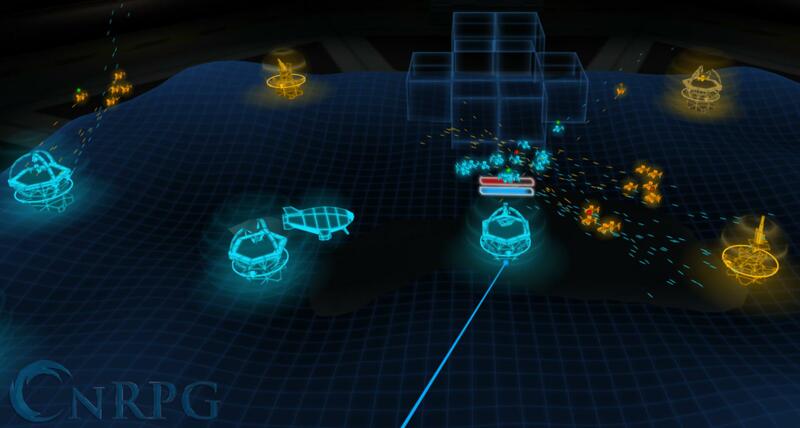 The Real Time Strategy genre proves to be an extremely fun combo combined with Virtual Reality, but unfortunately there have been few games so far that have done it well. While Tactera is a fun game, the game itself does miss a lot of depth and after only a few hours of playing you start to see why the game isn’t as popular as it could be. The foundation is definitely there and enjoyable, and everyone can just hop right in, it does make you wonder if the game is actually worth the price tag. For some people $15 can be a lot of money, and while it is definitely fun for a few hours, once you’ve cleared one campaign game, you’ll be asking for more. Tactera in its current form cannot offer you that. This entry was posted in Articles, Editorial, Featured Articles, Game Reviews, MMO MMORPG News on March 29, 2018 by Remko Molenaar. This entry was posted in Videos on March 29, 2018 by Jason Parker. Frontier Developments have officially announced the release date for Jurassic World Evolution, coming to PC, Playstation 4, and Xbox One – digital-first on June 12th, physical release for console on July 3rd. That puts Jurassic World Evolution availability right in the launch window for the Universal’s upcoming blockbuster Jurassic World: Fallen Kingdom, making for some good prehistoric company during the “dino” days of summer. There are also pre-orders available for the standard and digital deluxe editions (featuring five extra dinosaurs) available on all digital store outlets (including the Frontier Store) now. Those who pre-order before launch will also receive a platform-exclusive helicopter skin and off-road vehicle skin. Build your own Jurassic World . . . what’s the worst that could happen? Zombies fans rejoice! Dying Light is increasing the pace of free content deliveries, starting today with a double drop featuring a new location, a new game mode, new enemy, a community bounty, and their best Easter wishes. Content Drop #4 will take players to Prison Island, home to the Prison Heist mode. Players break into the armory as fast as they can (solo or co-op) and must optimize their strategy, work together and loot the place clean before the alarm goes off. The better they perform, the better the rewards, but it will not be easy or safe. Content Drop #5 features an unknown Demolisher mutation to Old town – known as Sgt. Deathrow. Bigger, stronger, and more unpredictable, he’s also worth massive amounts of experience points. Content Drop #6 will drop in Mid-April. Today is also the start of a brand new community bounty. In the Harran Egg Hunt players chase the zombified Easter Bunny and collect the eggs to unlock the magnificent Easter Outfit. As a final note, Dying Light now supports the Chinese language. Editor’s note: That pun isn’t on me. That’s how it was pitched to us, so if I must read it, so must you. Red Faction Guerilla is going to be “Re-Mars-tered” for Xbox One, Playstation 4 and PC in Q2 of 2018 by THQ Nordic. That will be the official name, “Red Faction Guerilla Re-Mars-tered” and pun aside, the destruction will be just as prevalent as ever, as the battle for liberation from the oppressive Earth Defense Force rages. 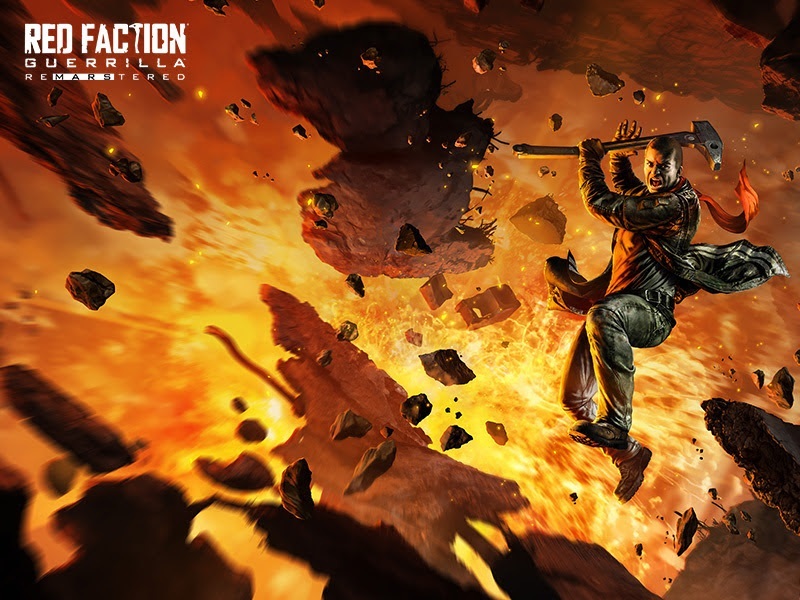 Red Faction: Guerrilla still defines the limits of destruction-based game-play with a huge open-world, fast-paced guerrilla-style combat, and true physics-based destruction. Players can expect fully re-worked graphics, improved rendering, lighting, shading, and native 4k support for the finest up-to-date Mars destruction experience. Evolving & Emergent Gameplay – Carve your path through an ever-changing landscape as you improvise your combat tactics – mixing gameplay styles, vehicles, weapons and explosives to defeat the EDF. This entry was posted in MMO MMORPG News on March 29, 2018 by Jason Parker. Today we learned a little more about the latest entry in the monster-slaying RPG series, God Eater 3. It will be available on Playstation 4 and Steam via PC, and this latest trailer highlights the Ashlands and Ash Aragami, as well as Adaptive God Eaters and a new type of God Arcs: the Biting Edge and Ray Gun. The Ashlands are unhabitable, forcing humanity to live underground in shelters called Ports. Within the Ashlands are the fierce new Ash Aragami, such as Anubis and Ra which provide the ultimate challenge for God Eaters. These new God Eaters, Adaptive God Eaters are closer to Aragami than their predecessors, making them stronger and deadlier. They can also resist the Ashlands deadly air, and one of these new God Eaters is Hugo Pennywort. He’s a quick-witted man of action, making him a suitable leader. The Biting Edge is new and a dual-bladed weapon that focuses on quick slashes and stabs, whereas the Ray Gun is an extremely strong ranged attack, provided its used with expert timing. My.com and Owlcat Games are working together to create an all-new Pathfinder experience in the isometric cRPG, Pathfinder: Kingmaker this summer. Players will pick from seven core races and 14 classes, each with up to three 3 different archetypes to choose from to customize according to their playstyle. Players will also have up to 11 companions to choose from, each with their own individual stories to tell and relationships to build, providing players with a complex party to immerse themselves in. Shape the Stolen Lands with decisions made either as a wise and righteous king or as an evil tyrant. Players have the power to shape the future of their kingdom and the world beyond. 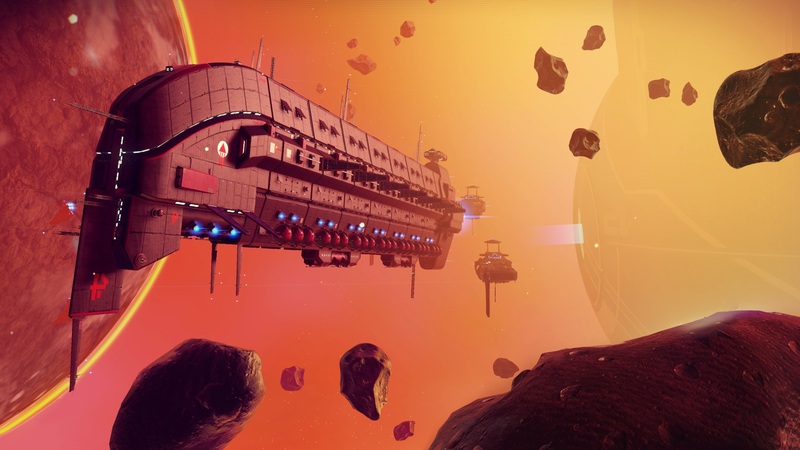 Hello Games is proud to announce that No Man’s Sky is presently deep in development for another free update for existing players on the Playstation 4 and PC, as well as working on an Xbox One release. Xbox One owners can expect the vast procedurally generated universe later in 2018, complete with all the content developed to date as well as more from the “Next” update. 505 Games will be distributing the physical Xbox One release worldwide. Legacy: Trading Card Game is a fantasy collectible card game where you take on the role of a powerful commander capable of summoning creatures, committing sacrifices, and casting otherworldly spells. Formulate strategies, craft decks, and challenge the greatest tacticians from around the world. Available for Windows. I’ll Be Watching You: Manage HP, utilize game-altering skills, and manage your minions on the battlefield as the Overseer. Getting Analytical: Pour over various monster attributes including their health, attack, defense, affinity, and abilities. It’s Science: Experiment with and discover new archetypal combinations among the vast collection of cards. This entry was posted in MMO MMORPG Games List on March 28, 2018 by Charles Perez.